Portland Bureau of Transportation will extend app-based ride service's operating permit for a full year, taking it out of the city doghouse; Commissioner Nick Fish says move is premature. The city of Portland is poised to renew Uber's permit to operate in the city another year, essentially taking the app-based ride service off of "probation" for good behavior the last six months. The Portland Bureau of Transportation will take action to renew Uber's permit, which expires August 1, for a full year, said Matt Grumm, chief of staff to City Commissioner Dan Saltzman, who oversees the transportation bureau, usually referred to as PBOT. Saltzman had levied a whopping $3,457,000 fine against Uber on Jan. 29 for failing to notify the city of a potential data security breach after its records were hacked. Saltzman also renewed Uber's operating permit for only six months on Feb. 1, as a warning to the company to change its ways. "Uber has had a difficult relationship with the city of Portland dating back to December 2014," Saltzman wrote in his letter issuing the fine. Uber illegally launched service in Portland in late 2014 before the city authorized it to operate here, then deployed specialized Greyball software to thwart city regulators who were seeking to monitor its operations. The six-month permit renewal was "definitely to send a signal," Grumm said. Now Uber apparently is back in Saltzman and PBOT's good graces. "They've basically been good actors the last six months," Grumm said. But when asked for specific examples, he said there had been no new controversies associated with the company. "The only example is nothing's come up," he said. Uber declined an interview but issued a statement citing its community involvement efforts and its 7,000 drivers who provide more than 348,000 rides each month. "We have committed to the city that we will continue and expand this work in the years to come," said Uber spokesman Nathan Hambley. PBOT spokesman Dylan Rivera declined to comment, other than to confirm interim agency director Chris Warner will issue the one-year operating permit to Uber. Rivera turned down an interview request with Dave Benson, PBOT's parking services group manager who regulates app-based ride services and taxis. In March, Benson said renewing Uber's permit for six months "allows the fine to play itself out." But Uber has since mounted an aggressive legal defense to contest the fine, appealing it to the city hearings office. The appeal hearing has been delayed multiple times, and now is slated for sometime this fall, Grumm said. The city resorted to the fine when it was unable to join a larger lawsuit against Uber mounted by several state attorneys general, Grumm said. But now a pending settlement is brewing between Uber and the states, he said, and Portland hopes Uber will strike a settlement with the city when that occurs. For that reason, Uber and the city have sought to delay the appeal hearing, he said. City Commissioner Nick Fish, perhaps the most prominent Uber critic on the City Council, was surprised to hear that it is being taken off of probation. "I think it's way too premature to extend the operating agreement by a year," he said. In the past, critics of Uber have had to "push pretty hard to get PBOT to step up on these issues," Fish said. When he and other city commissioners took a more assertive stance and pushed for a six-month probation period, there was hope the city would use the six months to redo the operating agreement, in a process led by PBOT. That hasn't occurred, he said. But Fish and other commissioners made it clear the issue will not be just left to the single commissioner assigned to oversee PBOT, deeming it a council-wide concern. In addition to entering the market illegally, using the Greyball softball and the data breach, Uber angered the city by lobbying the Oregon Legislature to bar cities from regulating the industry, Fish said. That effort was unsuccessful, but the city had to "play defense" in Salem to fend that off, Fish said. "They have three or four strikes against them," he said. In May, the City Council unanimously endorsed creation of a new "oversight body" that would give Uber and Lyft drivers a way to air grievances against the company, among other roles. 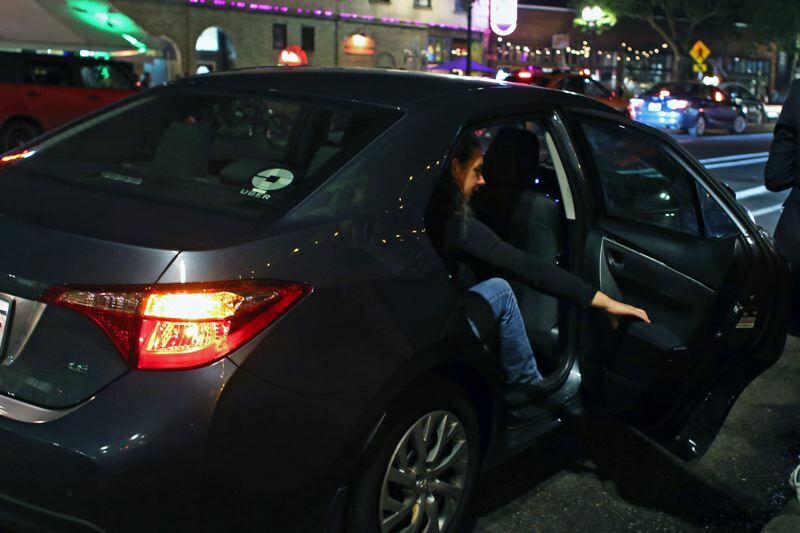 The council also unanimously voted to require Uber and Lyft to raise the level of liability insurance they provide for the period when drivers are cruising around the city waiting to be dispatched. The new liability limits would be set to equal those paid by taxi companies, who argue that are a competitive disadvantage. PBOT is working on proposals to put those new policies into practice, and was directed to bring those back for consideration by year-end. Initially, the idea was to get those policies done while Saltzman is in charge, as he will leave the council at year's end. But PBOT director Leah Treat subsequently quit to take another job. Her successor might be chosen by whoever Mayor Ted Wheeler picks to oversee the bureau, and some expect the mayor to appoint a new PBOT overseer as soon as August. In the past several weeks, Fish noted that Uber has issued a written apology to the city for its past actions here, and vowed to be more cooperative in the future. But, he added, "At the end of the day, they will be judged by deeds, not words."